Company: Aguas Santa Amalia S.A.
The water source is the largest natural water stream flowing from the foothills of the Andes Mountains into Colico Lake. The name Colico means Agua Clara or Clear Water in native language of the original people. The source is within view of the Llaima Volcano. In 1912, the first settlers headed by Mrs. Amalia started using the spring to distribute water to the few households around the lake. The spring has been keeping the small local population in excellent health for over 100 years. In 2011 bottling of the water was established and branded as "A". The "A" stands for both Andes and Amalia, the woman who discovered the source in 1912. The brand was created by an experienced team that has been in the wine business for many years, selecting and distributing fine wines and foods to prestigious establishments around the world. Today, "A" Water joins the exclusive list of authentic and quality food products from Chile. The SPI Group has launched a limited-edition Stolichnaya extension made with spring water from the Andean Mountain Water from the Araucania region of Chile. Only 250 bottles will be available around the world. 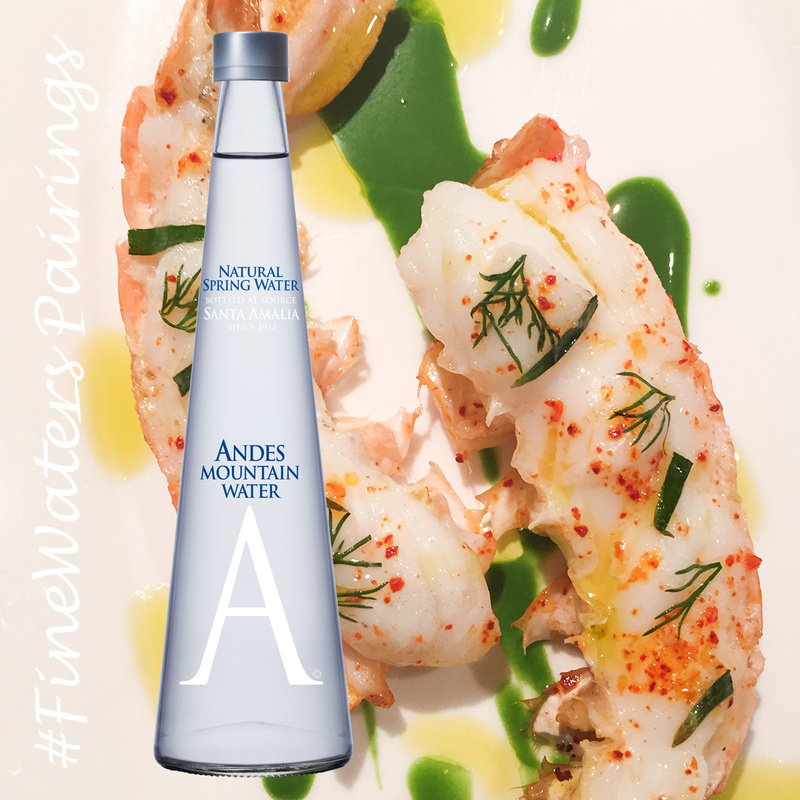 Andes Mountain Water in the award-winning sparkling version is a light, neutral Low Minerality water with fine bubbles. I would enjoy the water with subtle but slightly spicy food like those langoustines with green curry sauce.